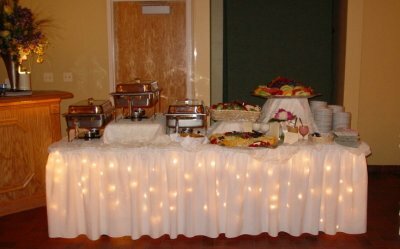 Breakfast menus, Cutting Edge Catering, Catering to your every Whim! Serving Joilet and the entire Chicagoland area! Per Person Menus include Black Marble Prestige Place Settings. A la Carte Items do not include Place Settings. * Ask our event coordinator for more outstanding choices of pancakes, omelets, quiche, crepes, bagels, breakfast pastries and many more.